I love it - right down (or up) to the variegated wool at the top. It's so cute! I love it, like Rachel... top to bottom:) Enjoy your evening, hugs! I think you did a very nice job and I like the varigated top! Stacy, you did a great vintage hand towel. It looks so nice hanging on the rack. I have mitered squares on my list for the year so I am glad to know it isn't too challenging. Sometimes easy is nice. Have a great night. It looks great. Good for you for trying something new even if it isn't too tricky! I really love this. And I like the variegated wool too. It gives it an extra kick. 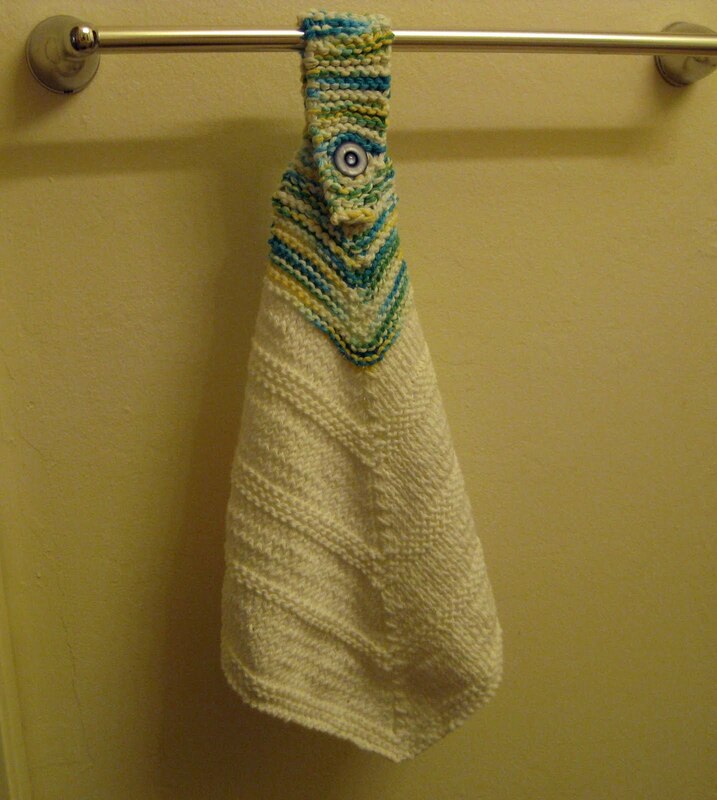 Your hand towel is gorgeous! Beautiful! I love it Stacy. The contrast is a design element! 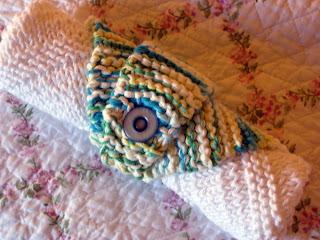 It makes me want to knit another one! 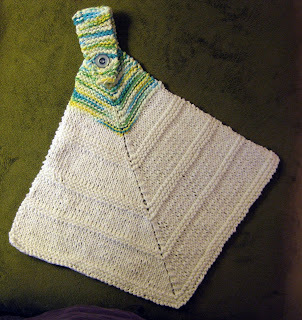 I love the variegated yarn at the top! Would you have preferred a solid colored top? Very, very cute! Very nice! What color chooses would you have used? I love it. We had these in our house when I was a child. I may have to try knitting one. I really like your vintage hand towel. Rain rain and more rain. I arrived in GV today and it is raining hard right now. I like it! But we can be very critical of our own work. I think the variegated top gives it some pizazz!